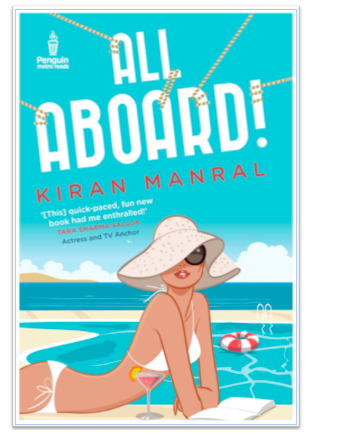 #All Aboard Print and Blog world- Kiran Manral! What catches your eye in Kiran Manral’s third book’s (Penguin Random House) first look is the stunning picture and colour composition! The Cyan-Turquoise marriage teases you take the plunge in the welcoming waters of the sea- #All Aboard a cruise liner! 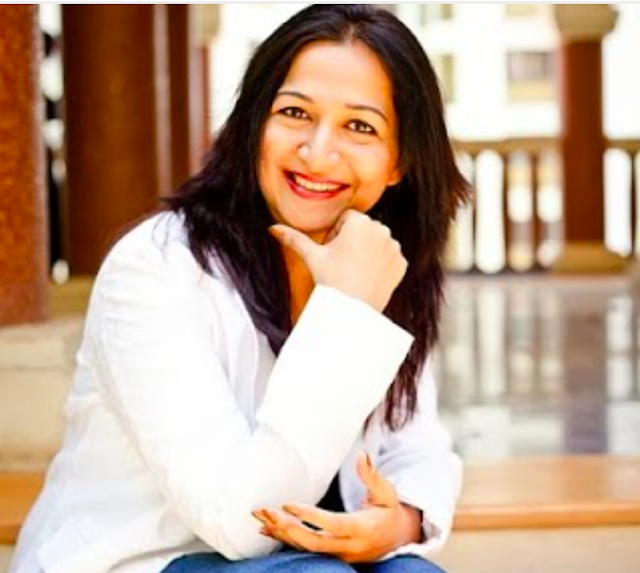 The Insider caught up with the author on Rom-coms and as a kindered spirit, talked about straddling the print and the blog world! How would you describe your writing style- love and romance a big part of it for sure? I think my writing style is something that I don’t really think about too much, I just write. At times, I can be pretty convoluted to read, I tend to run off into very long sentences and very obscure references that few might get and in this particular book, I’ve tried to rectify that. You are a blogger as well as a print media writer- your tips to the ones who are traversing both these worlds? As a blogger you are free to write in the voice you wish, as a print media writer or more online media for me these days than print to be honest, there is the need to retain a more formal tone of voice and to pay attention to language and detail and references. Spell check and proof read. And do your research to the best of your ability. Something very Mills and Boonish about All Aboard- who is your target audience? It is a romance, and that is what it is meant to be, unlike my previous two books which were more humour than any other genre. Anyone who loves reading romance would be my target audience, man or woman. This is a simple, feel good book that will leave you with a smile on your face at the end of it. Is fiction your forte or is a non-fiction something that you aren’t interested in? Well, my next book is non-fiction, a collection of parenting anecdotes from my blog, (now closed) called Karmickids. It is being published by Hay House and should be out soon. Given that one has been a feature writer for most of one’s life, I think non-fiction is my forte and fiction is what I dabble in, to be honest. I don’t have any plans, to be very honest. I’m just too disorganised to have any plan. I just take life as it comes and do work that interests me. That is all my plan is. And thus far it has worked for me. Want to know how she manages work from home/ attic in her husband’s office? Read my print feature! Previous post: Frédérique Constant- Smart watch launch-The Insider’s Report! Next post: 6 Must have looks from #Lakme Fashion Winter festive’15!